Just look at this rarity. A RARE missing colour. Offers around R6000-00 will be considered. Only buyers with a BoB rating of 100% positive need apply. Fact is, this item was forgotten in my Little Golf. It has been in the sun inside a protective sleeve for about three weeks. Faded by the sun. 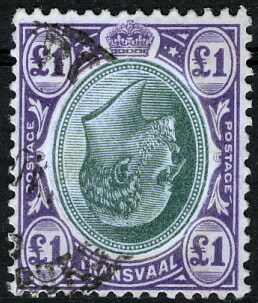 It is worth about 50c per stamp – the current face value. So please beware. Unless you are 100% certain of what you are doing, never buy a Missing Colour unless “subject to certificate” or rather with a certificate. Yes buyers should be cautious,I also see a lot of Transvaal forgeries,of which the sellers are clearly NOT aware.They must think they struck gold. Yes, and what many collectors do not realise is that many illustrations in many catalogues, simply qualify some stamps as definite forgeries. Very often the stamp might pass the “illustrated test”, but there might be other characteristics that might still prove that the stamp is in fact a forgery. 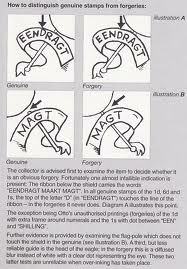 So the illustration might prove that the stamp is a forgery. It does not prove that the stamp is genuine! Yes buyers should be cautious,I also see a lot of Transvaal forgeries,of which the sellers are clearly NOT aware. Philatelist etc. If it is an expensive stamp, odds are that without a recent certificate it is likely to be a dud reprint! Hi Jacques, would you have preferred me to use something less common, like the illustrated: Please choose a date for the postmark! Any date before 1910 will suit me fine. But please try to beat this one. Have you ever seen the error of colour in a pair like this? Happy 2013 you stamp(ed) lot!